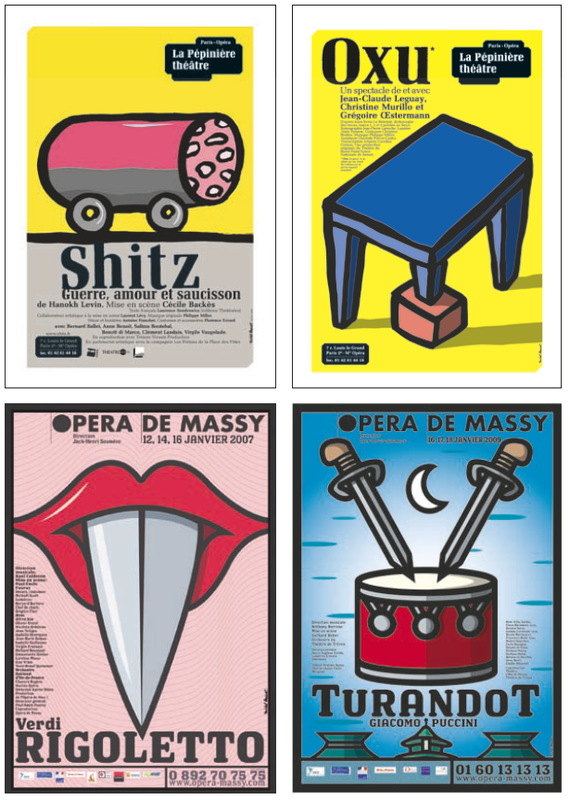 This year, the artist Marc chose to celebrate – and that really is the right word – is French poster artist Michel Bouvet. Bouvet, who I had the occasion to meet a few years ago in his light and spacious Parisian studio, is prolific, humble, funny, and blessed with enormous skill. 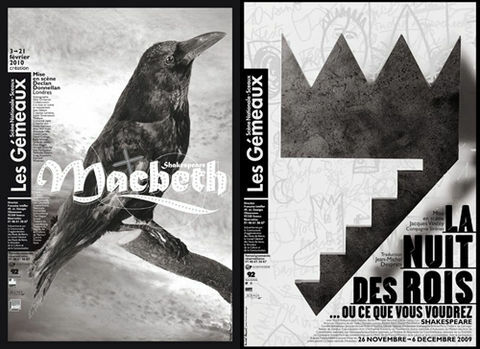 His posters often incorporate large amounts of text (he has created a library of fonts in conjunction with his work in poster design) with photography and other mixed media. I don’t think it would be wrong to call him one of the greatest living contemporary poster artists around anywhere. (To see a fabulous video of Michel at work, go here). 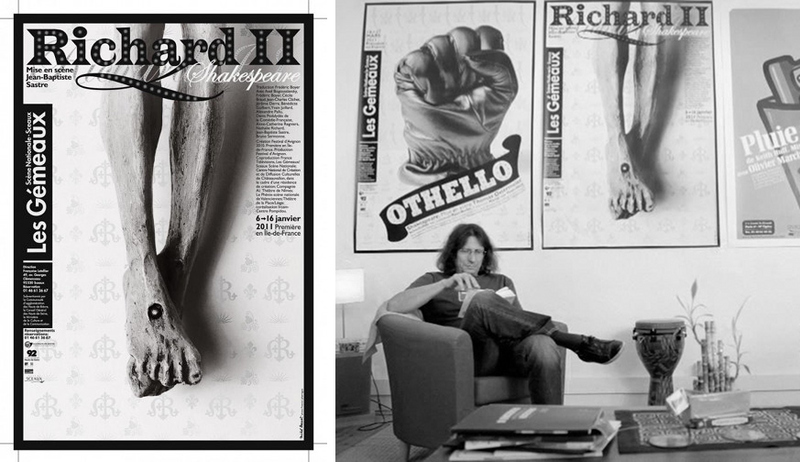 I found him as fascinating as his posters – and just as approachable. A wonderful evening and a great exhibition. The exhibition is open until November 3, for more information, go here. For other videos about Michel go here. Previous Charity, Clarins, Starving Belgians and Tennis – or what I learned from Town and Country’s September 2013 issue. Next Posters we think Ricky Gervais might like….